Dilapidated flumes will be removed to allow stream naturalization. Photos by Bill Giokas. The nonprofit Harwich Conservation Trust (HCT) and Massachusetts Division of Ecological Restoration have selected Inter-Fluve, Inc., an engineering firm based in Cambridge specializing in river and wetland restoration, to complete the ecological restoration design and begin the permitting process for HCT’s Cold Brook Eco-Restoration Project in Harwich Port. 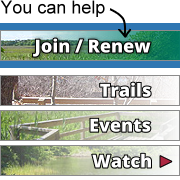 The goal of this project is the comprehensive ecological restoration of 66 acres of former cranberry bogs and adjacent lands including the rehabilitation of more than 0.75 miles of stream channel and associated floodplain as well as the restoration of habitat and fish passage for a number of species of migratory fish and wildlife including the American eel (Anguilla rostrata). 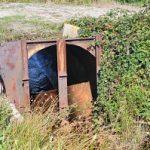 The project will remove several water control structures associated with retired cranberry bogs; reconstruct stream channel and flood plain, re-establish wetland hydrology in former peatlands, and remove barriers to fish migration at the head of tide. The hiring of Inter-Fluve was made possible in part by a $40,000 grant from the Massachusetts Environmental Trust (MET). MET is a grant program within the State’s Executive Office of Energy and Environmental Affairs with a mission to support projects that leverage innovative approaches to protect and restore natural resources. Funded through the sale of environmental license plates and legal settlements, MET is one of the largest sources of grant funds for water resources in the Commonwealth. Since its founding, MET has awarded over $20 million in grants to organizations protecting and enhancing the Commonwealth’s water resources and natural environments. “Driving around the Cape, you see many cars with MET’s ‘Preserve the Trust’ right whale, trout, and other specialty license plates. It’s so great to know that in buying those license plates, those motorists are in effect also driving the funding for protection of water resources around the state, including right here in Harwich Port with the Cold Brook Eco-Restoration Project,” said Michael Lach, HCT Executive Director. The project will apply MET funds through the June 2017 fiscal cycle to support the engineering, design, and initial permitting phase with Inter-Fluve. Interestingly, Inter-Fluve’s Nick Nelson was born on the Cape and is a Harwich native. “We’re thrilled to partner with Nick and his Inter-Fluve team. 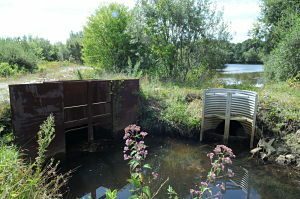 They have hands-on knowledge and experience from projects in Plymouth and Falmouth restoring natural wetlands and hydrology in retired bog systems. 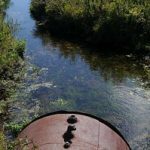 We look forward to working with Inter-Fluve and the state’s Division of Ecological Restoration (DER) on the Cold Brook Eco-Restoration design,” said Lach.